If smoke damage or fire damage has ruined parts of your home or business, our professional licensed fire damage restoration team will restore your property to it’s former condition. 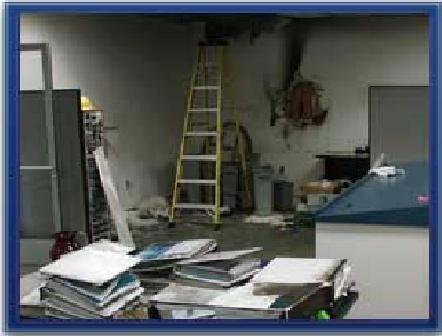 An office or house fire can be a scary and costly situation. Property fires can damage not only the immediate property, but surrounding areas as well. Cars, workshops, landscapes and other buildings can suffer severe fire damage in Baltimore and surrounding Counties. 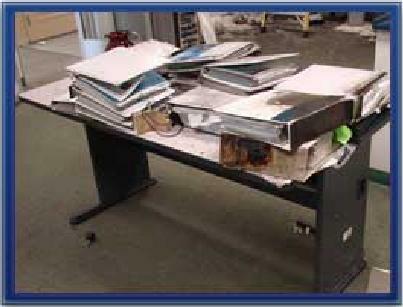 On top of that, personal items that are not lost in the fire can become badly damaged. Why throw those things out when they can be restored to their former glory? 3W Cleaning Service is IICRC-certified in smoke and fire damage restoration. We are one of the most experienced house fire restoration companies in the Baltimore Area. First, we will secure the fire damaged building with board up and temporary fencing. We will inspect the building for hazardous items and contact the appropriate entities such as utility companies and electricians, to deal with all potentially dangerous items or issues. To remove smoke and carcinogens from the house, we will clean the walls and structural surfaces using a drychem sponge or wet wash procedure. Our professional house fire technicians will deodorize the building using air scrubbers and perform any necessary duct and carpet cleaning. Finally, our construction team will make the needed repairs and/or rebuild the structure. 3W Cleaning Service is IICRC-certified in the restoration and storage of personal contents. We will take a thorough inventory (photo and digital) of all clothing, household goods, and electronics. As we go through these items, we will note all damage and pack up all the contents after a property fire. We clean all electronics and wash all clothing, draperies and bedding. All of your contents will be safely stored until the building is repaired. Once the fire damaged building is restored, we will put everything back into the clean and restored structure. Fire damage and smoke restoration is best left to the professionals to remedy. Contact the local experts to help with you fire restoration problems today.